For Berbie’s ( Nickname) 21st birthday, his super cool Mum wanted to surprise him with a birthday cake. After much consideration and thought into what kinda cake to get for him, she finally decided on a Sg inspired passport cake. 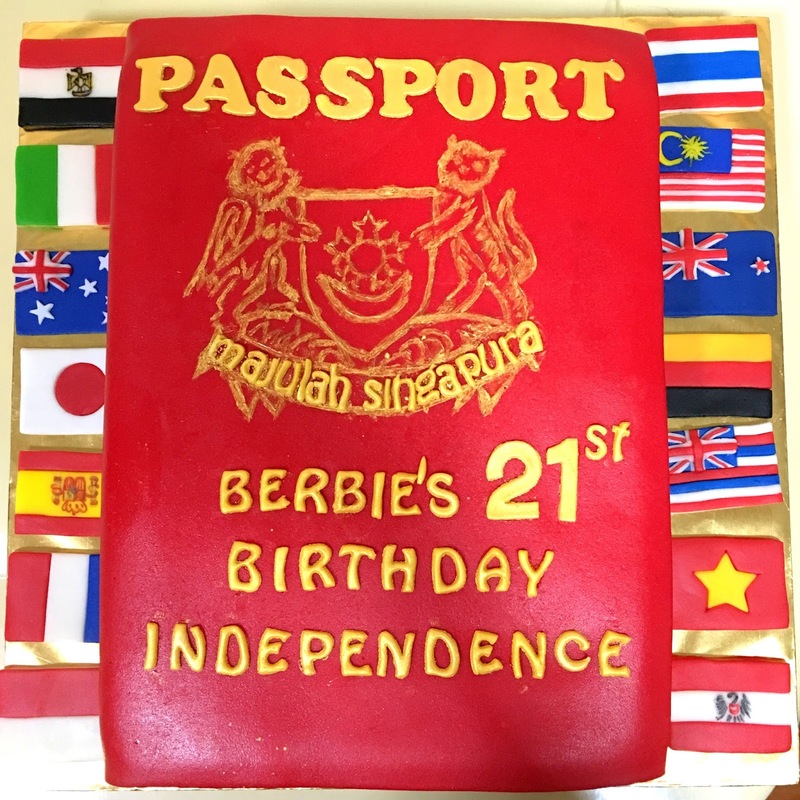 The main color theme of the cake would be red with the wordings 21st Birthday Independence. Surrounding this cake are the flags of various countries! Isn’t this such a cool cake!